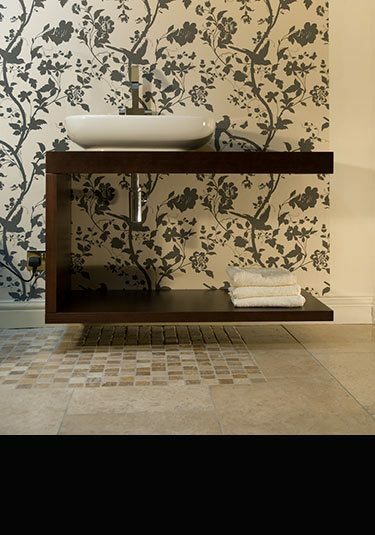 At Livinghouse we offer a luxury collection of bathroom washstands designed for high end interiors. 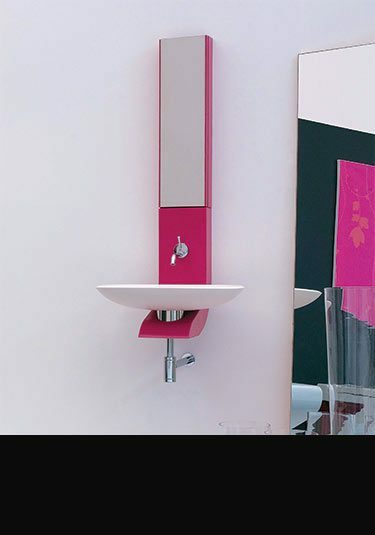 Much of our wash basin furniture is Italian designed or manufactured in Europe ensuring great quality and the latest designs. 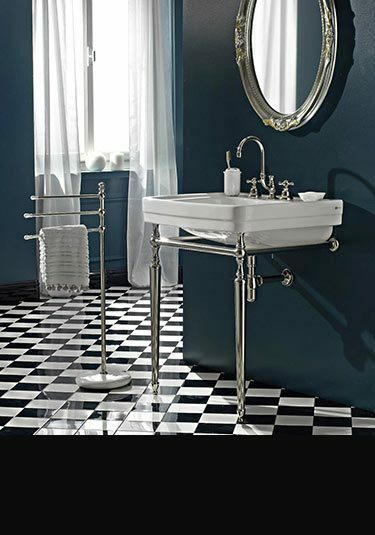 We have wooden washstands with oak and wenge real wood finishes, ceramic basins with polished chrome metal support structures in contemporary and Art Deco styling, full ceramic washstands which have a ceramic basins with matching legs and finally wall hung painted furniture in various colour finishes. 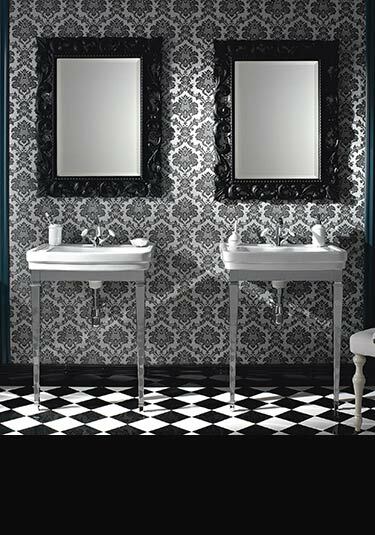 Within our full collection, we offer stylish design choices for contemporary, traditional and classic bathroom design. Real wenge or oak washstand in a contemporary. Designed and manufactured in Europe. 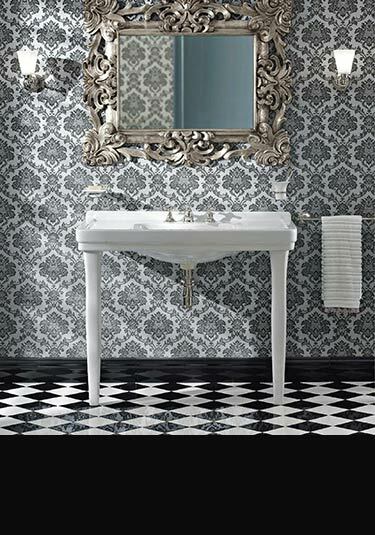 A traditional washstand designed and manufactured in Italy. The high quality polished frame is made of brass with a thick chrome plated finish and the ceramic basin is the original 1920s design. 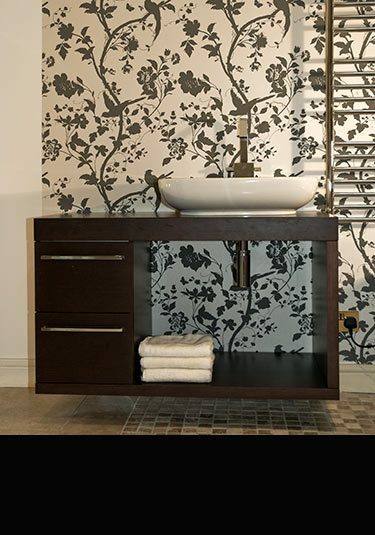 A contemporary styled wall mounted wash station with 2 storage draws, which are soft closing. Available in real dark wenge finish or in an oak finish. Designed and manufactured in Europe. A designer wall hung vanity unit with a 1 piece glass wash basin top. 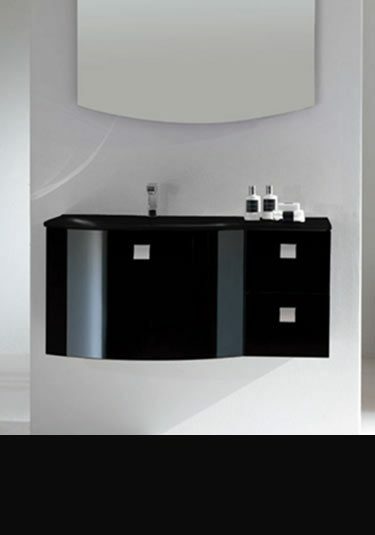 This bathroom furniture is available in high gloss black and high gloss white, both with matching glass vanity top. 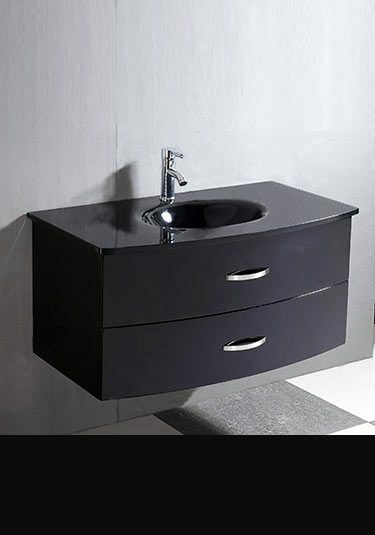 This beautiful rectangular washbasin with a real wood washstand is highly designer in style and luxury in quality. Who could fail to offer comment ! A wall hanging washstand with ceramic wash bowls is available in a real oak and wenge finishes and as a single or double bowl washstand. Rectangular wash basin with a high quality polished washstand gives a clean cut and expensive finish to bathroom design. A high gloss painted bathroom furniture unit with 2 long sliding draws for storage, which are soft closing. Each unit includes a matching 1 piece glass vanity top. Cabinet and top also available in white. 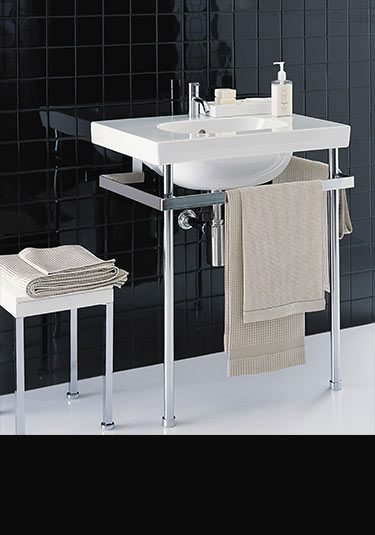 Classicallly contemporary washstand with highly polished metal structure is ideal for top quality designer bathrooms. 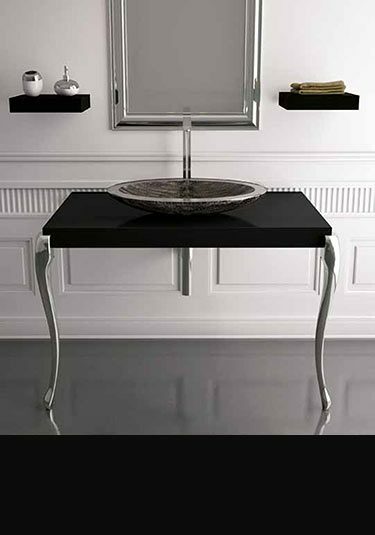 A very stylish classically contemporary washstand designed and manufactured in Italy. 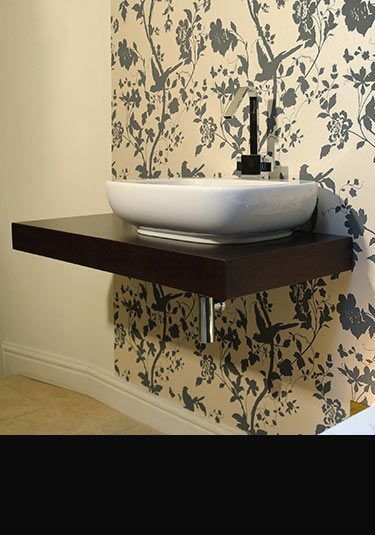 Available in gloss black with a choice of basins and copper, silver & gold legs. 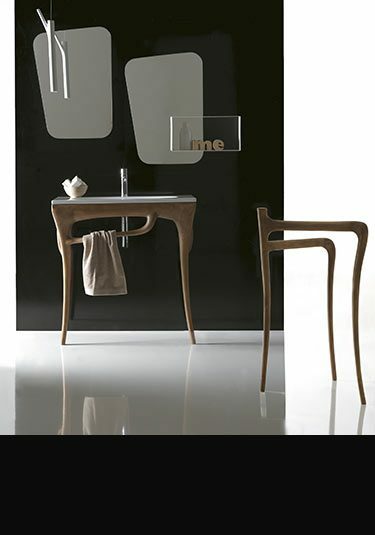 Latest contemporary washstand from Italy that is made of real oak wood. 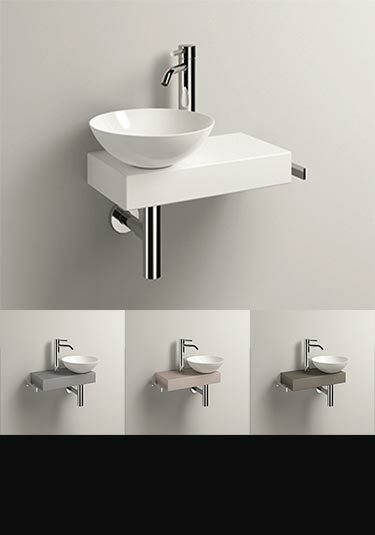 Available with a 600mm and 800mm counter top basin. 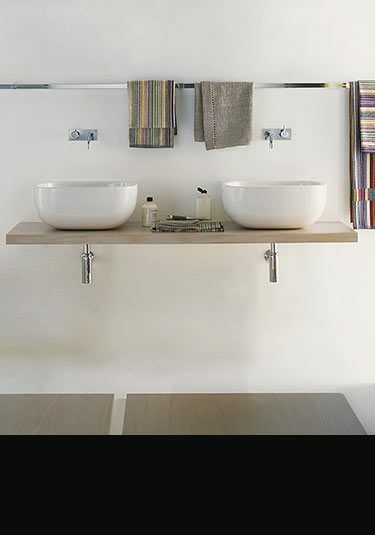 Exclusive wooden washstand design for designer interiors. Exclusive designer washstand that is styled traditionally. This basin and the polished metal structure is superb quality and is ideal for luxury bathrooms. This small wash station is ideal for cloakrooms and downstairs toilets where a little design inspiration may be required. German manufactured. Luxury quality work top designed and made in Italy. Each top is 80mm in thickness and can be supplied in the real wood finishes of wenge (shown) and oak.